If you’re reading this, you probably use Airtable as a part of your workflows. If you’ve been using Airtable for long, chances are you’ve started to use it for more and more of your work. With Airtable becoming a central part of your setup, it only makes sense that the data within your bases and the organization of your workflows becomes more important each week. 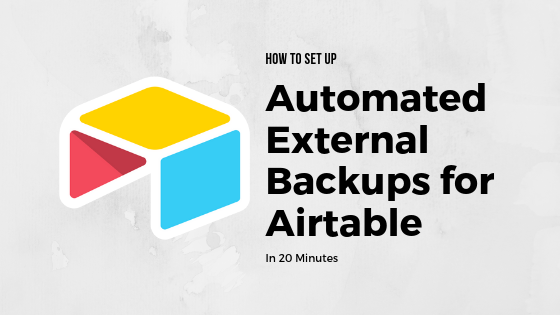 Here we come to a key issue with the Airtable service: lack of external backups. Although it’s not something we like to think about often, we all know that if servers were to go down and we lost our bases it would be a critical blow to our work. Re-creating a base and replacing the data therein is time-consuming and expensive. Worse, depending on the type of data you had stored, it could create a breach of trust with your clients. 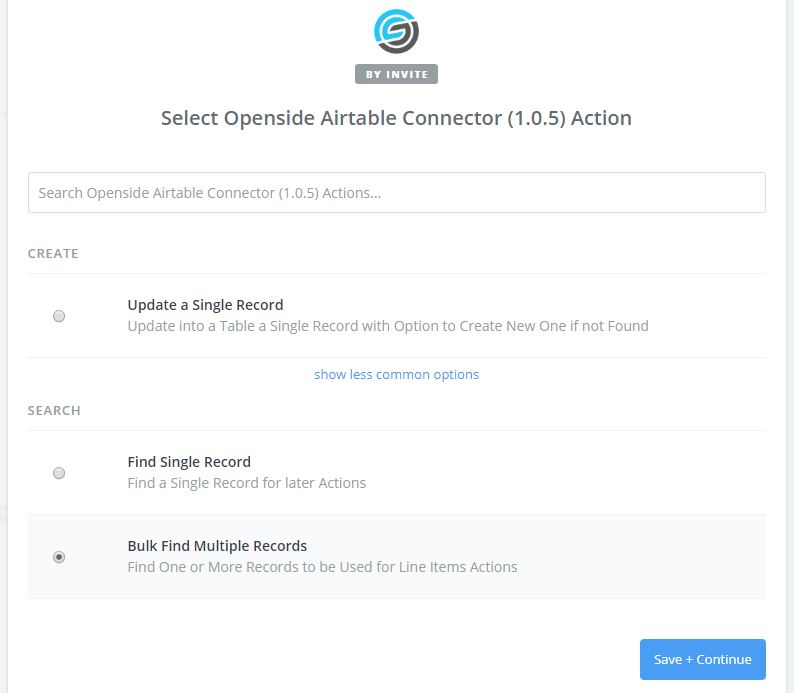 After working with many companies using Airtable, and because of our experience with Airtable/Zapier, here at Openside we decided to create a way to fill the need for external backups and -even better- make it automated. In the meantime, here’s your solution! Disclaimer: We are not directly associated with Airtable or Zapier (although we are an Expert Partner of Zapier). Setting up this backup requires entering your API key into Zapier and our connectors which means we technically do have access to it, however we do not store it on our systems anywhere. It is only stored on Zapier’s systems, similar to the existing connector. 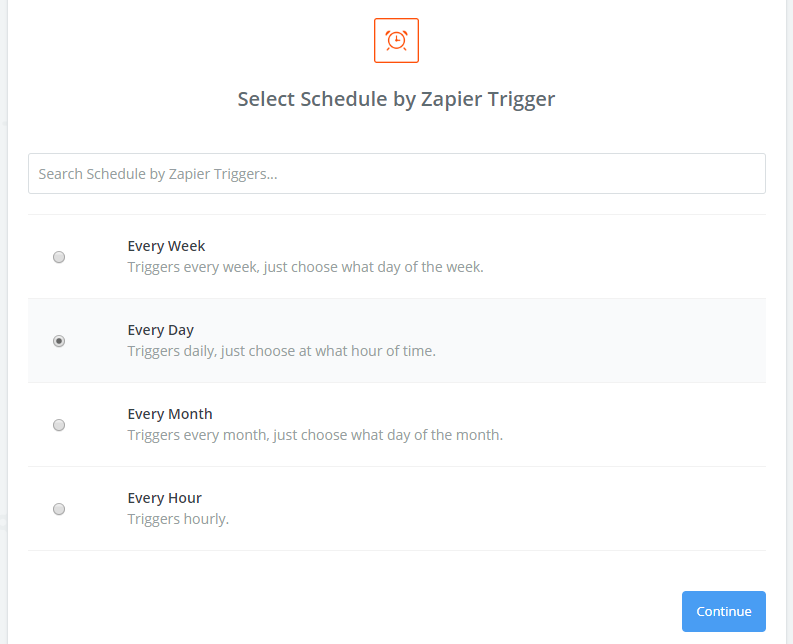 Using the Schedule by Zapier trigger, set how often you want to run a backup. Add a step to your Zapier workflow. 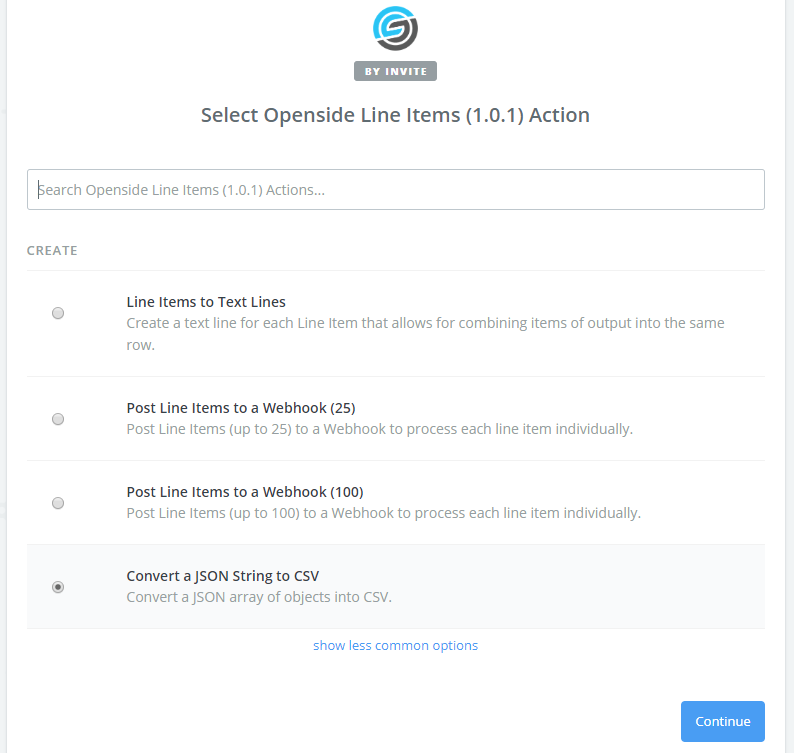 Select the Openside Line Items action option (link above). 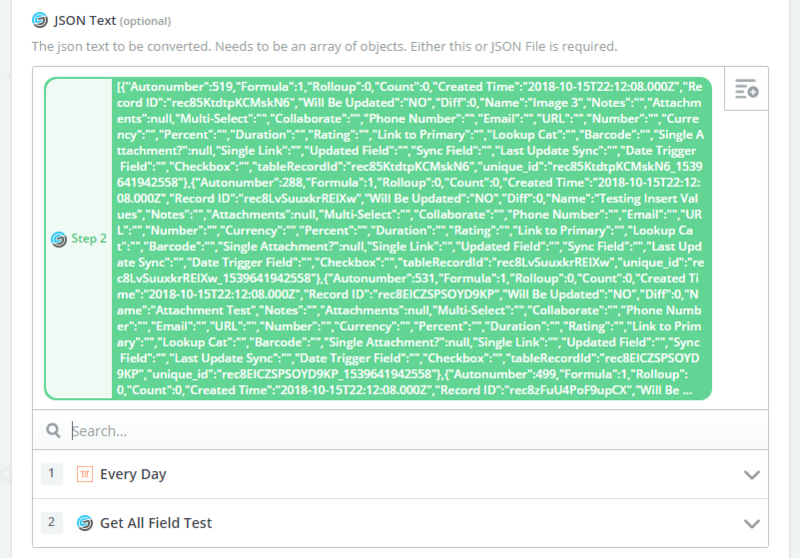 Note: If you are OK backing up your data as JSON data instead of a CSV file, this step (and using the Openside Line Items connector) can be skipped. CSV is a more common format and can easily be opened in excel or Google Sheets. JSON is for more technical use cases. In the Output File Name field, specify your file output name. I usually just make it the same name of the table I’m backing up. Depending on your base size, you’ll want to create additional Search and Actions within your Zapier workflow for each table you want backed up. If your base has 3 Tables within it that you want to backup, you’ll want to have a Search (Step #2 above) and Action (Step #3 above) for each: 3 tables x 2 steps for each = 6 steps. After all table backup steps are set up, you’ll want a final action to specify how the backup files will be output, and where. 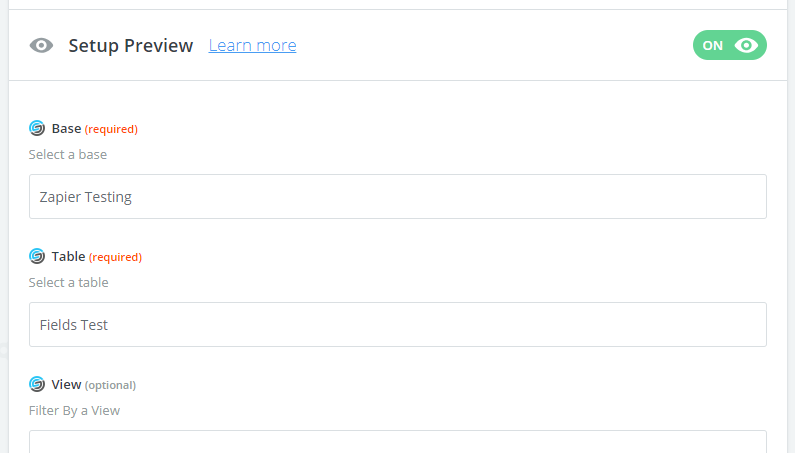 Send yourself an email via Email by Zapier with all the .csv file links in the body. You can then download or auto-categorize them how you want. If you need more details while setting up your backup, feel free to read the full documentation here. Hope that helps! Would love to hear your feedback on it!